I have had a host of clients throughout my SEO career – .govs, medically-oriented associations and businesses, scientists, big brands, reporters, and nonprofits looking to boost their SEO. The one complaint I hear EVERY time I conduct an SEO copywriting training is their frustration with having to modify their writing style for online reading and SEO. I have to admit, I’m more of a geek about online reading and usability than most. 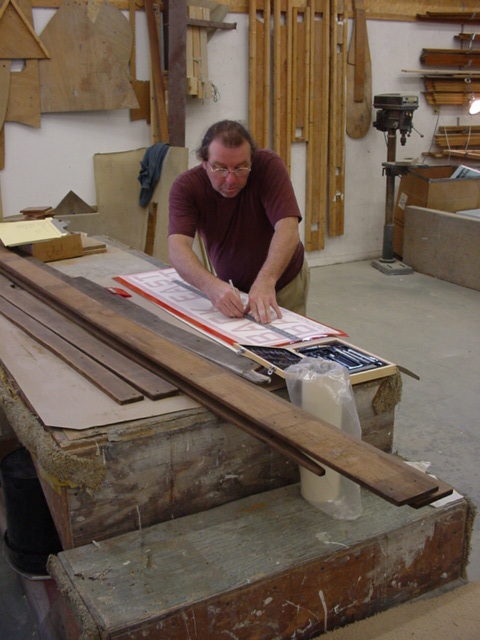 My father was a sign shop owner (see photo below), so at an early age, I was being taught about how things like kerning and leading can impact readability. This is especially relevant when creating signs designed to give information as you drive by at 50 mph. I also dove deep into the field of Human-Computer Interaction (HCI) when I was working on my master’s thesis on consumer adoption of wearable computers. But, regardless of my over-zealousness of the topic, online formatting matters. It matters for your readers. It matters for SEO. It matters for conversions. Here’s why reading online is different than offline. There is a swath of evidence from laboratory experiments and consumer research which highlight that screens fail to recreate the same experience as paper. Screens actually prevent people from reading a long text in a way in which they retain the information and physically enjoy the experience. It turns out that compared to reading on paper, reading on a screen (computer or phone) may also drain more of our mental resources and make it a little harder to remember what we read when we are done. “Information scent theory” is based on research conducted by Peter Pirolli, Ph.D. at the Xerox Palo Alto Research Center. He is a cognitive psychologist and an expert on human-computer interaction who has spent the past two decades studying the strategies people use to navigate and gather information online. It turns out that we look for information online similarly as to how we look for items in the real world. Yet, often the online experience does not support this hardwired way of finding information. Humans look for information on the web with the same food-gathering techniques used by animals. Animals follow a physical scent to look for food. Humans, similarly, follow an online “scent” trail that is made up of keywords, images, and other cues.When those words and images are closely related to the information we’re seeking, the scent is strong and we continue on that path. When it is not, we abandon our path or start over. The impact on you and your online content? People don’t click links with poor information scent. You want searchers to visit your organic landing pages, stay and visit more of your site, which is why Information scent is important to tackle. Users make up their mind quickly. How quickly? Most of them very quickly. 55% of search visitors will spend fewer than 15 seconds actively on a page they click to from the search engine result pages before returning to the search results to start over. Academic research supports this point too. As humans from an evolutionary perspective (as pointed out by the Nielsen Norman Group) are working to get the maximum benefit for the least effort. 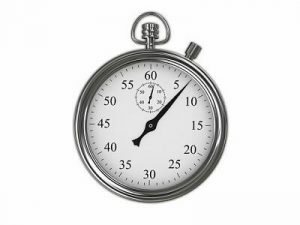 When someone visits your page from Google, you have 10 seconds on average to convince them to stick around. In 10 seconds, those visitors are scanning. Not reading. 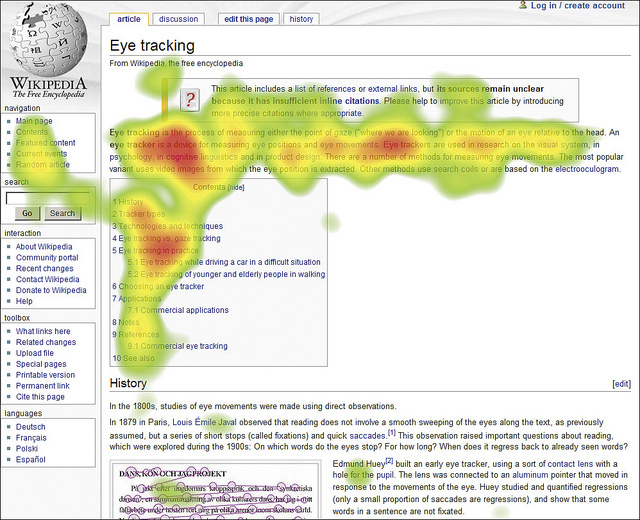 Results from an eye tracking test. Red shows where the gaze rests the most. How does this impact your writing? It’s essential to grab someone’s attention with an answer to their question above the fold (the part of the screen you can see without scrolling).Even on mobile devices (where scrolling is easier) people still look more above the fold than below it. Let’s talk about why Google needs formatting. If text appears in an HTML ordered list or a series of headings with numbers in front of them, it’s likely a process or ranking. Still not convinced that Google needs you to format your text? How does formatting impact Google’s understanding? 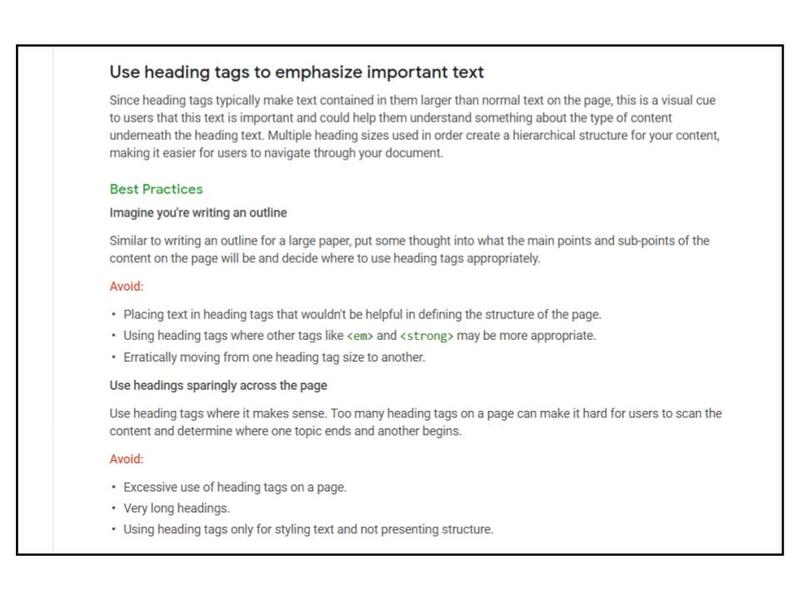 Properly structured headings can help with navigation and Google’s understanding of your text, and subheadings should really be thought of as sub-articles within the main article. Subheads also have a parent->child relationship. H1 is the top main heading (and ideally should be used once on the page), and H2s are next, then H3s etc. When you use, ordered lists, keep in mind that they imply rankings, order, or process. You can also use short bolded “labels” or “summary” phrases at the start of each paragraph can function as a list. 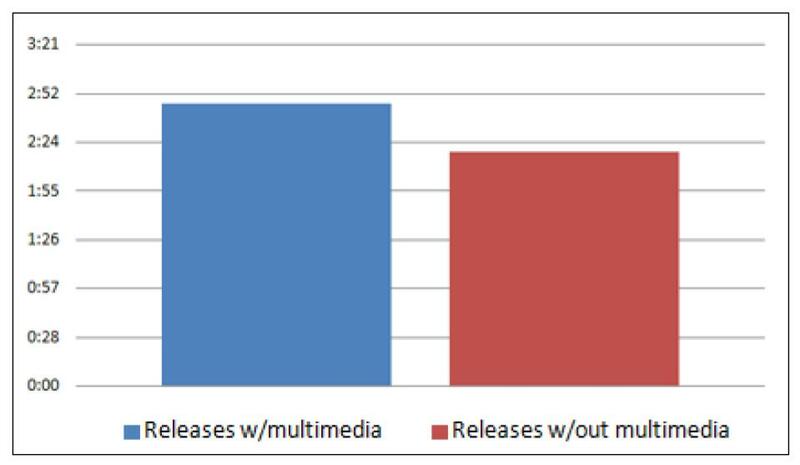 When you use tables, keep in mind that they imply that the data has a row/column relationship. OK, but how do I apply this to my writing? I am so glad you asked! This brings us to the techniques that we can use to help the online reader and Google understand our content. You hook the reader and provide the Who, What, When, Where, Why. Provide a supportive narrative that is less important. Finish out the story with the least important details. You need to start with the key point and give the reader only what they need. Content has different meanings based on how far down the page it appears. Even if they decide to stay, most users only spend 37 seconds on your page. You can see this behavior reflected more recently in a Slate.com study. In fact, Slate even demonstrates the ideal way to format for online reading in this spoof article. And our scanning behavior depends on the task we are hoping to complete on the site. Quickly reassure the searcher that they are in the right place related to their burning searcher’s intent/ question within the first paragraph or so of text to keep them. Make sure that links and category labels explicitly describe what users will find at those destinations. Use your headers to describe the takeaway in the paragraph below and start each paragraph with a sentence that sets the context. 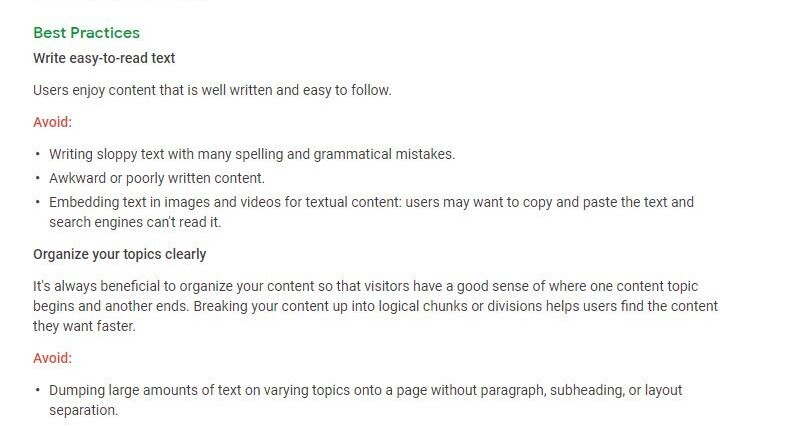 Test your final text with users if possible to see if they take away the main points from your content. Or track their click behavior in aggregate by using a tool like CrazyEgg or Hotjar. Check to see what terms it’s ranking for (via Google Search Console) and improve your meta title and description with those terms to improve its CTR and potential task completion after the page is live. Consider making “chunks” of 5-8 different topic areas. This term was coined by Brian Dean of Backlinko and it’s proven to be an effective technique for both his posts and time on page testing, but others as well. it opens up an information gap in your mind and you can’t help but read the next one. If people are about to get bored anywhere in your post, add a bucket brigade. Today in 2018, there are more mobile internet users than desktop users. 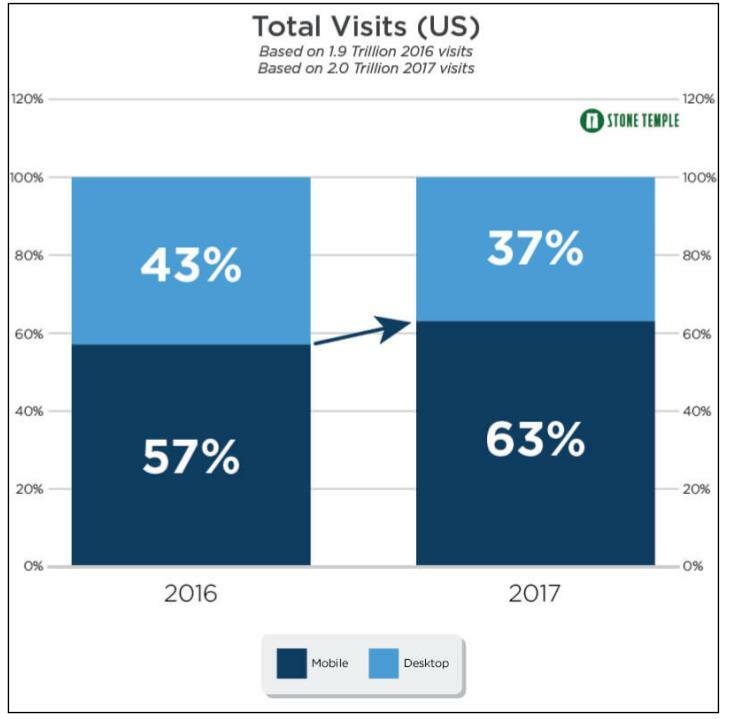 Most US web readers are viewing content on their phones. Especially on mobile devices, where a thumb is considered 44 pixels, your text needs to have white space to allow for effective navigation. White space also allows for visual relaxation. [White space] has been shown to increase comprehension by up to 20% – Dmitry Fadeyev. It turns out the power of white space comes from the limits of human attention and memory. The amount of strain an interface design creates is called “cognitive load.” If this is new to you, I would recommend that you check out Steve Krug’s book, “Don’t Make Me Think”. We are more likely to remember content if it includes images or video because images are processed 6,000 times faster than text. This might be why users spend on average 2.6X more time on landing pages with video than without. Adding pictures to your page can also increase the length of time a visitor stays on your page – by as much as 21%! Support the visitor’s “information scent” by using their keyword in key areas to encourage them to stay. Support users scanning behavior with formatting. Use headers, bullets, and numbered lists to “chunk” your information to support scanning. Fall in love with white space. It helps the user absorb your copy. Support your content with videos and images to encourage more time on space and help them absorb the information.